You guys know me. I use way too much hair gel, have the social grace of a drunk gorilla and I scream in my sleep. I’m almost a Dragon Ball Z character. I’ve been waiting for the latest film to finally get an English dub, and thanks to some dragon-wishing, that request is getting fulfilled. Why not just watch the original Japanese version, I hear you ask? One simple reason really: I like having functioning ear drums. When it comes to anime, most adaptations usually have mediocre or passable dubs into a Western language. Dragon Ball Z on the other hand, is the sole exception to the rule. For years now, that mammoth series has boasted a top-notch line-up of voice actors who have defined the roles of screaming space god fighters in a way that makes the original dub look terrible in person. On one hand, you’ve got professional voice-over work. On the other hand, you have what sounds like a gaggle of high school girls finding out that they’ve just won tickets to a One Direction concert. But I digress. Over in the US of A, the latest film, Dragon Ball Z, gets a theatrical release on August 5. Which means that a proper digital/DVD release isn’t far off. 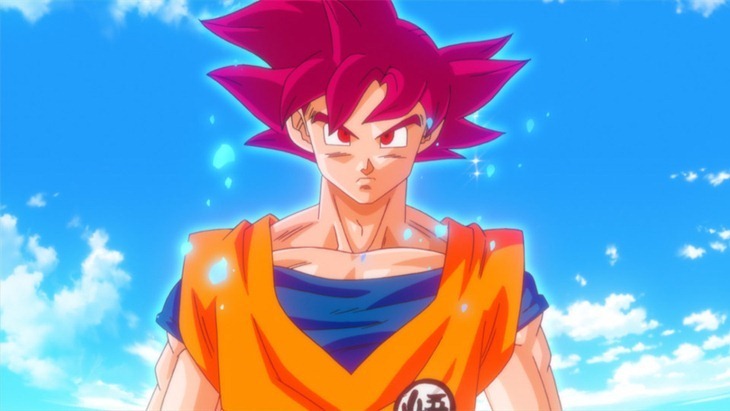 The first new Dragon Ball Z film in 17 years, Battle of the Gods featured some top-notch animation and scenes when it was released, as well as a new power-up for Goku in the form of Super Saiyan God Mode. Yep, the series took things a step further once again. And I’m looking forward to it. It’s about damn time.